Have you ever thought of the highest point or place on the earth? Yes, it is of course Mount Everest of Nepal. It is the highest peak in the world with an altitude of 8,848 meters. This famous mountain lies on the border of Nepal and Tibet (China). 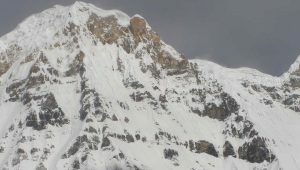 ‘Sagarmatha’ is the Nepalese name of Mt. Everest and Tibetans call this peak ‘Chomolungma’. The entire Everest region comes within the boundaries of the Sagarmatha National Park. The Park has a large composition of rugged terrain and gorges of the high Himalayas. It ranges from 2,845 meters further to the top of the world’s highest mountain- Mt. Everest. People believe this to be the home of Yeti, the snow man. Mount Everest trekking starts at Lukla, reached by a 35-minute flight. The hiking goes along the Dudh Koshi Valley leading into the popular Sherpa hometown- Namche Bazaar and finally the Everest Base Camp. Namche Bazaar serves as a central hub of the area for food, sundries, communications and climbing gears. Many trekkers spend a full day in Namche Bazaar for acclimatization. 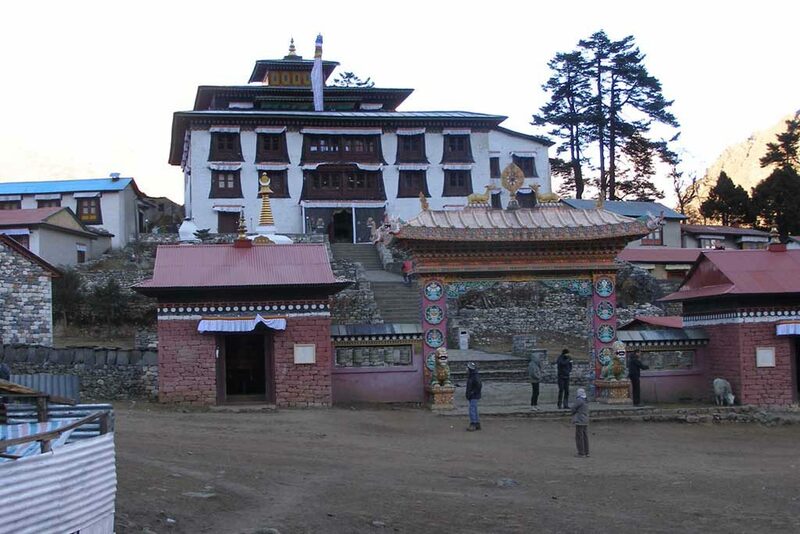 The trail passes then through the famous Tengboche Monastery, Lobuche and finally Gorakshep (5,140m/16,864ft). 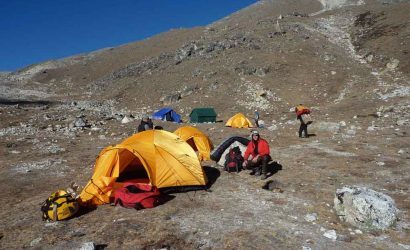 Gorakshep is the highest point of accommodation available to the Everest Base Camp visitors. Trekkers also ascend to Kalapatthar (5,545m/18,192ft) for the magnificent views of the Himalayan giants. There were several attempts made in the history to achieve a summit over the Mt. Everest. But the first successful expedition became possible only on 29 of May, 1953. Notably, Sir Edmund Hillary and Tenzing Norgay Sherpa led the expedition team. Because of this, Everest Base Camp route has become one of the most explored trekking trails in the Himalayas. Many expedition teams are following the Everest Base Camp trail for several other peaks in the Everest region. Since then Everest Base Camp trekking is accomplished by thousands of trekkers every year. Fixed Departure Dates for 2019 / Group Size: Maximum 12 per group. Private Trip: However, private trips are available at your preferred dates throughout the year. We allow maximum 12 persons in a group. Travelling in a group gives fun and friendly companions but less flexibility. However, you are always in a pressure to stay at the same pace as the group does. High altitude trek requires enough preparation and enthusiasm. Likewise, the group members need to show equal spirit. Tiny sign of conflicts due to gender, origin, nationality, language, race, age and individual choices can lead to ruin the trip. On the other hand, being in a private trip acquires lots of attention and you are more secured. It also provides you enough flexibility for your own pace and comfort. Trekking is not just a walk and you will miss many important socio-cultural scenes if you do not have time to wait and experience that. You will meet many co-trekkers along the trail and in guest houses while travelling privately too despite your thought of loneliness. 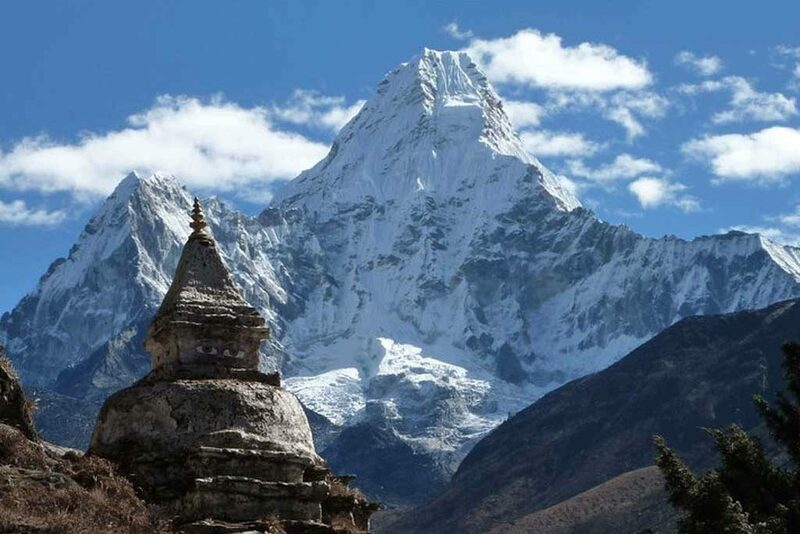 Everest Base Camp trek is one of the most searched trekking holidays in Nepal. 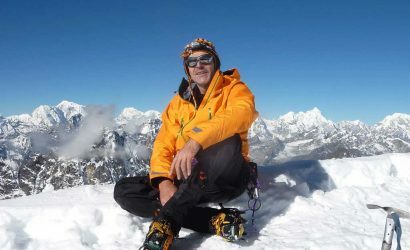 This trek is also available with Island Peak climbing for passionate trekkers. 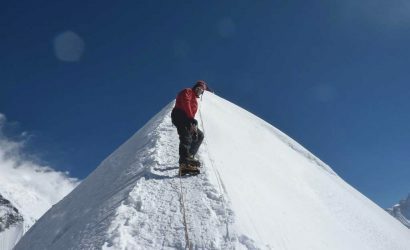 Please follow the link for extended itinerary of Island Peak and Everest Base Camp Trek. After breakfast, sightseeing tour of World Heritage Sites will be started by an experienced City Tour Guide. 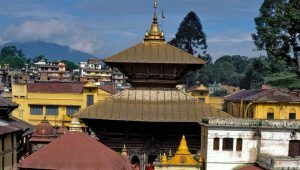 Tour includes to Swoyambhunath, Boudhanath, Pashupatinath and Patan Durbar Square. 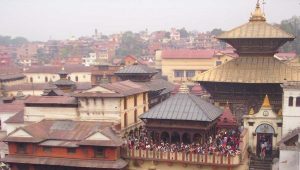 The entirely stone made Krishna Temple, three-storied golden temples and the three main courtyards of the Durbar Square are the major attractions of Patan. Again we proceed southward, retracing the route trekked on day 3 and 4, crossing and re-crossing the Dudh Koshi at intervals. We stay overnight in Lukla. Trekking time 6-7 hours. 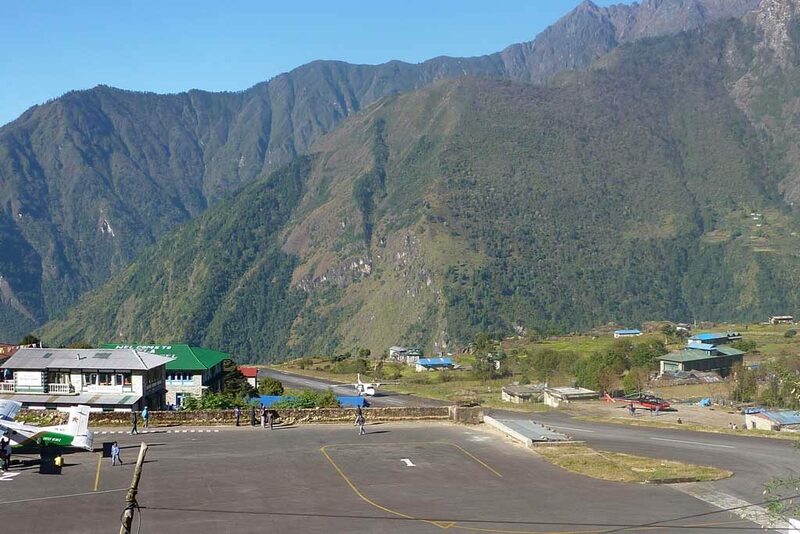 We take the 35 minute breathtaking flight from Lukla. Tour concludes. How much does it cost to trek to Everest Base Camp? There are many factors which are responsible to form a general price such as cost of transportation (bus/flight), permits, meals and accommodation, guide and porters etc. However, we have an offer for this trip at US $1,259 per person for now. When is the best time to trek to the Everest Base Camp? The best months for Everest Base Camp trek are October, November, April and May. The air is freshly laundered after the monsoon rain and the views are simply crystal clear during October-November. April-May remains dry and hot. There are many expeditions carried out during spring. How is the weather like in April-May in the Everest region? April-May is a dry season and it can be dusty and humid. The weather is warmer and gets hotter by the end of May but it will be rewarded with the spectacular rhododendron blooms. Do I need TIMS for Everest trekking? Yes, you will need TIMS for Everest trekking. It costs Rs 1,000 (US $10) per person supported by a local staff and costs Rs 2,000 (US $20) to the independent trekkers. 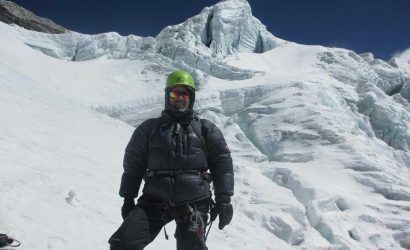 Where can I get permits for Everest Base Camp trekking? Local Trekking Companies can apply for permits on your behalf. The Sagarmatha National Park permit is issued by Department of National Parks and Wildlife Conservation (DNPWC) and TIMS jointly by Trekking Agencies Association of Nepal (TAAN) and Nepal Tourism Board (NTB). Is it likely that flights to/from Lukla usually get cancelled? Flights to/from Lukla are very much weather permitting. The flights are available from Kathmandu only and during morning. So, it is wiser to have a couple of spare days for your flight back home. Can I drive back from Lukla if my flight is cancelled? No. The shortest road network is available from 5-6 days walk further down at Bhandar or Jiri then a full day drive by a local bus to Kathmandu. The first part of the road condition is poor while the second part is better. 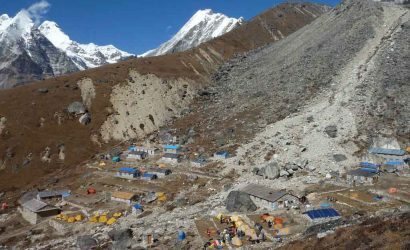 Do I really need a guide for Everest Base Camp trek? 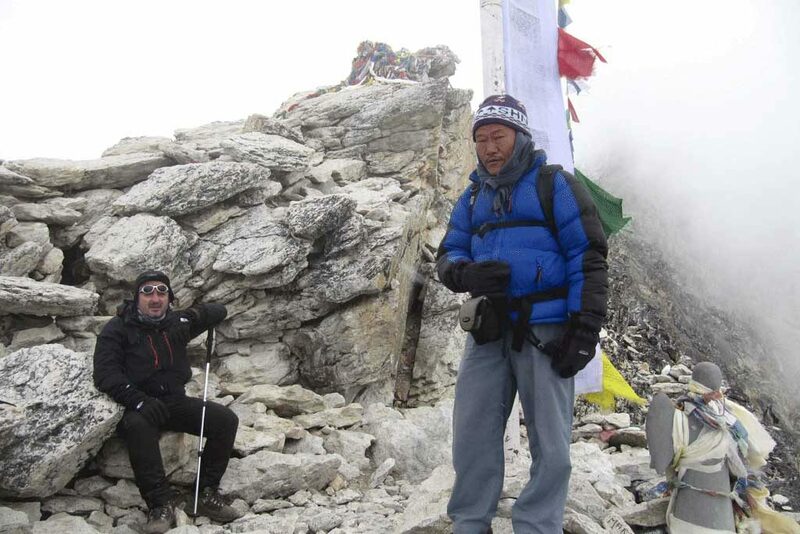 It is recommended to hire a registered guide for the Everest Base Camp trek. It is wiser to go with a guide for treks above 5,000 meters. However, it is not impossible to trek alone but we strongly urge to have a guided trek and remain safe. A guide is your doctor, messenger and family in case of emergency. Can I find a guide in Lukla? You may find an experienced trekker in Lukla but it is not guaranteed that they are registered guides. 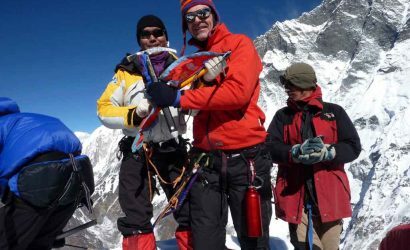 Trekking Guides have to be trained at Nepal Academy of Tourism and Hotel Management (NATHM), then they need to be registered at Department of Tourism and license is provided to become a Trekking Guide. Some Companies may stock their guides at Lukla during peak seasons. So, it is important to confirm this with your trip organizer. It is important to remain cautious on hiring freelance guides. The Everest Base Camp trek is considered as strenuous trek. However, rope climbing is not involved on this trek. This is a trek which can be completed on comfortable trekking boots and no crampons are needed. So, its a doable trip.